Jurgen Klopp has accepted responsibility for his side's late defeat to Napoli, after a Lorenzo Insigne goal grabbed all three points for the Italians. Lorenzo Insigne's goal 30 seconds from the end of normal time only confirmed what had been threatened for most of the match as Klopp's side were second-best throughout. "No attempts on target, I don't remember when that happened last time," said Klopp. "I think we had a big part of that because we can play much better. No shot on target is not enough. They had a good game, we didn't, that's what they deserved the three points. "For the exact reason I am not 100 per cent cent sure. A big part of that performance was my fault for sure but I need at least one night to watch it again and see what was the fault but it was not like it should have looked. "I am pretty sure the reasons will be obvious and then we will sort that but tonight we were not good enough and normally if you are not good enough you lose games. "The start of the game was OK then the timing for our defensive movements were not good enough, we didn't close the spaces in the right moment, we didn't react in the right situation so they could play through our formation. "Things like this happen but not as often as they did tonight and it costs energy. Then when you have the ball you have to play much calmer. "If you looked how we played you would have thought they were always on us - we could have played calmer but we didn't. "The first half was kind of OK but the second half was not good enough and it's always a bad sign to say when your goalkeeper is your best player. 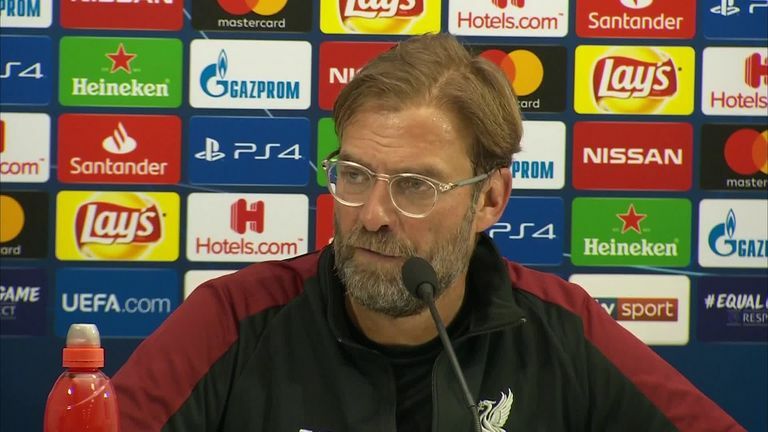 "In the 89th minute we make another tactical mistake, we didn't close the gap between Joe (Gomez) and Virg (Virgil van Dijk), and then we cannot react anymore." Liverpool lost Naby Keita to injury midway through the first half with the £53m summer arrival departing on a medical cart and taken for further examination. "It is his back, that's what I heard. I don't know exactly. We have to wait," he added. "I think we interpreted the game really well, we changed a bit - but not too much - the way we played with an extra central defender," said the Italian. "We were able to keep possession. Overall it was a very good approach from the team, there was a perfect balance to avoid the attack and managed their strong strikers up front. "It gives a lot of character to the team and it's great we kept the same mentality from the start to the end. It gives great self-confidence to the players."